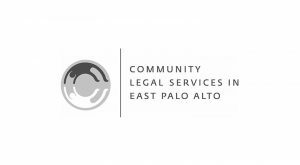 Community Legal Services in East Palo Alto (CLSEPA) provides legal assistance to low-income individuals and families in East Palo Alto and the surrounding community, with a focus on immigration, housing, and consumer protection issues. CLSEPA is the only nonprofit legal service provider of its kind in San Mateo County, connecting more than 500 volunteer attorneys, paralegals, law students, and community volunteers with residents in need of legal services. This grant supports legal services for undocumented youth applying for the Deferred Action for Childhood Arrivals (DACA) program, ensuring they understand DACA’s eligibility requirements and application process. A central component of this strategy includes expanding outreach and education opportunities to reach eligible individuals. In addition, the grant also supports CLSEPA’s work to provide legal representation to help unaccompanied children and youth coming to or living in the United States as they flee violent environments in Central America.